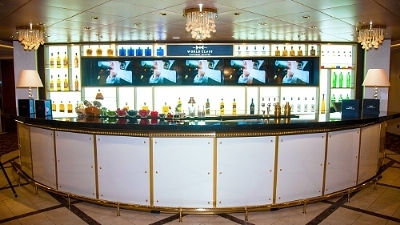 Celebrity Cruises has introduced what it calls the world's first permanent World Class Bar. According to the cruise line, the bar space onboard Celebrity Eclipse provides "interactive and luxurious" drinks experiences created by world class-certified mixologists. Celebrity said it is renowned for its highly skilled and engaging bartenders, and partnering with a premium drinks company provides the cruise lines' mixologists with exclusive menus that feature cutting-edge cocktails, promising to deliver the ultimate high-end drinks experience for vacationers. The World Class Bar debuted on the Celebrity Eclipse and will soon be followed by bars onboard Celebrity's four remaining Solstice Class ships. 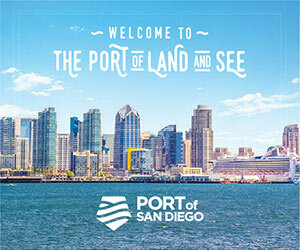 "Our award-winning culinary program gives guests the opportunity to indulge in new tastes and experiences during their vacation, and the World Class Bar will do this by offering the very best of mixology, custom-created craft cocktails and expert bartenders," said Lisa Lutoff-Perlo, President and CEO, Celebrity Cruises. "World Class is at the forefront of contemporary cocktail culture, which is a perfect fit for Celebrity as we continue to bring modern luxury to affluent vacationers."